WineFan at Desert Rose Ranch and Winery | FTLapps, Inc. If you’re looking for a place that makes you feel like you’re in the Wild West, you don’t have to travel as far as you might think. 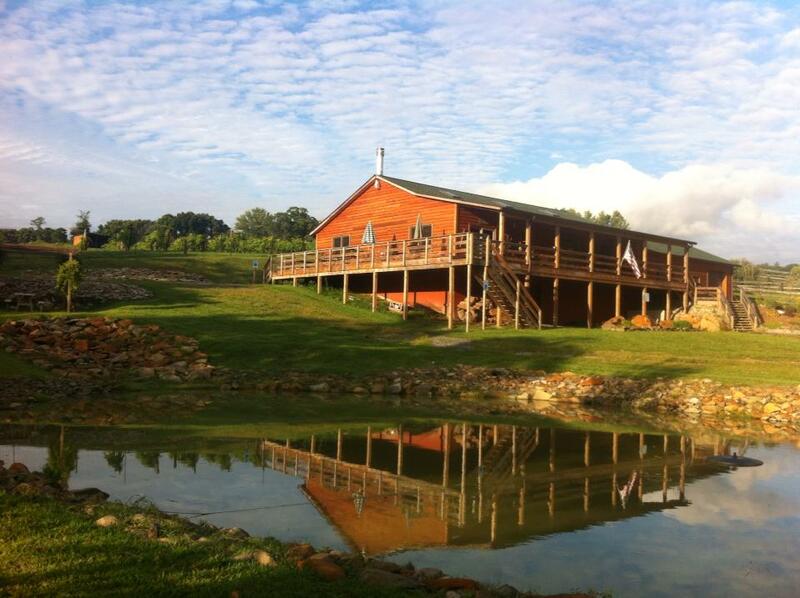 Located in Fauquier County, Virginia, Desert Rose Ranch and Winery is just the spot to make you hum “Home on the Range.” And, if you’re a fan of John Wayne and classic cars, you’ll fit right in with owners, Bob and Linda. 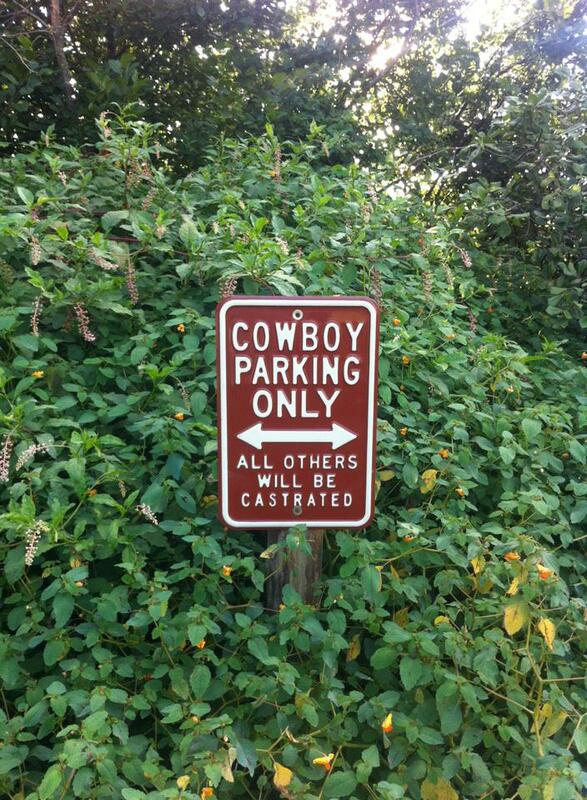 From the moment you drive up, you’ll feel the distinct western vibe of the property. From the horses in the paddock out front, to the western movies playing in the tasting room, this winery is truly one of a kind. The tasting room floors are wooden planks, there’s a lovely cattle skin on the wall, and they refer to their bathroom area as “Outhouses” (don’t worry, they aren’t really outhouses). The bar, where the staff pours your tasting, has a glass top covering all of the different currencies the owners have collected from all over the world. And the wrap-around porch is a lovely spot to spend your time outside as the sun sinks toward the horizon. 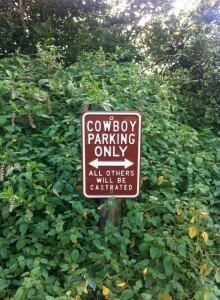 The venue shows you the passion and pride behind the ranch and winery. And it’s clear that Bob takes great pride in producing great wine as well. All of the wines have a name and a story behind them. The most intriguing wine was one not yet available for sale or tasting. For the past five seasons, Bob has been growing a grape called Crimson Cabernet. It is a cross between Cabernet Sauvignon and Norton. It results in a grape that has the disease resistant qualities of Norton while boasting that great Cabernet flavor. At this point, Crimson Cabernet has not been grown and bottled east of Kansas… until now. 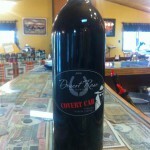 Desert Rose’s 2012 “Covert Cab” will be among the first few vintages of this grape ever produced in the world! 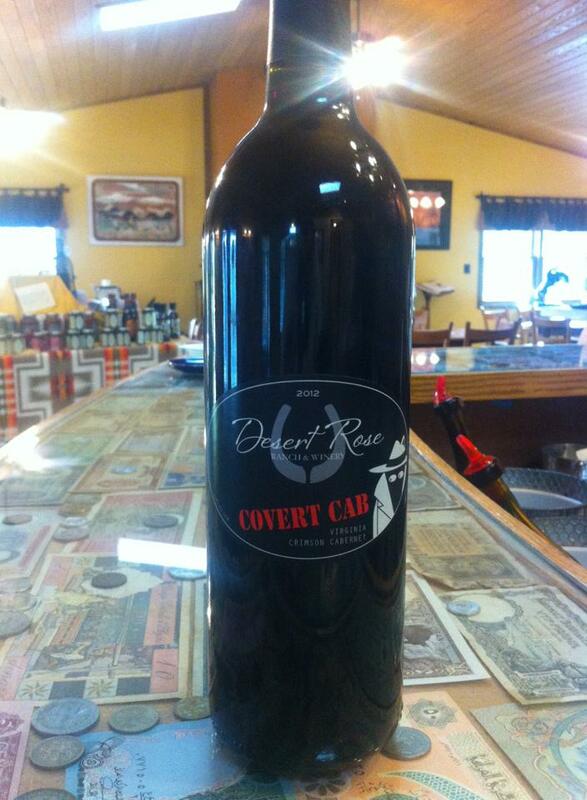 If you want to be one of the first to try “Covert Cab,” Bob and Linda will be releasing it October 13, 2013. They held an auction for the first bottle recently, and it went for $600 to benefit charity. Bob says once released, it will go for around $30. This WineFan will definitely be there to purchase multiple bottles. Won’t you join us?!? Tart, crisp green apple flavors. Aged in French oak. 1.6% residual sugar. Great with spicy foods. Strawberry and cherry flavors. Stainless steel fermented. No residual sugar. Minerality and spicy notes. Would pair great with herbaceous food. Blueberry nose. Dark fruit flavors. Well balanced and will continue to age well over the next few years. Nice balance of spice and fruit. Great with white cheddar. Nutty flavor and resembles sherry. 8% residual sugar. Great with cheese for dessert. 8% residual sugar. Port style wine. Great with chocolate.